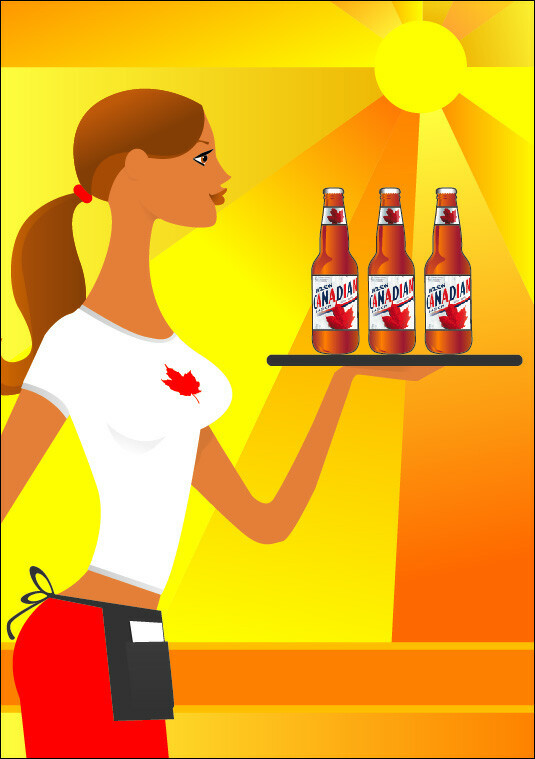 Illustration produced for Molson Canadian outdoor patio signage. To capture patio season, Molson Canadian produced several patio signs promoting their product. they required an image that boldly embodied the spirit of summer.